Order in the next 6 hours 58 minutes for delivery on Monday, April 22. Brilliance is captured in these diamond stud earrings showcasing princess cut diamonds in four-prong settings of 14k white gold with guardian backs and posts. 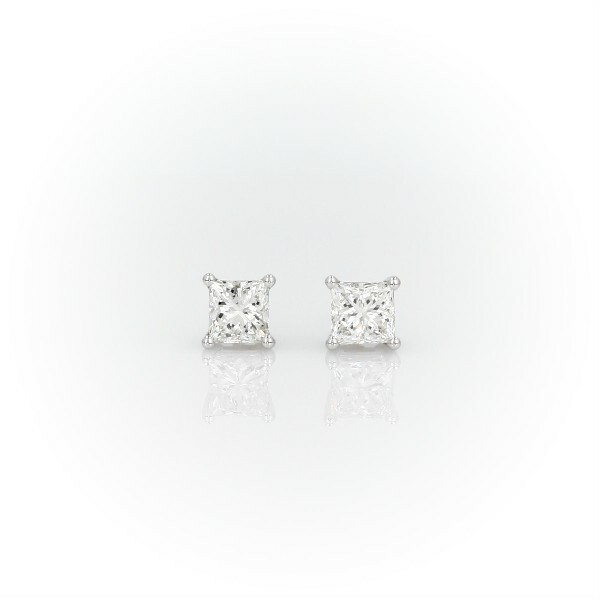 The pair amounts to 1 carat total diamond weight.